The great hurricane of 1938, which hit on September 21, was the first major hurricane to strike New England since 1869. Inaccurate weather forecasts left residents unprepared. 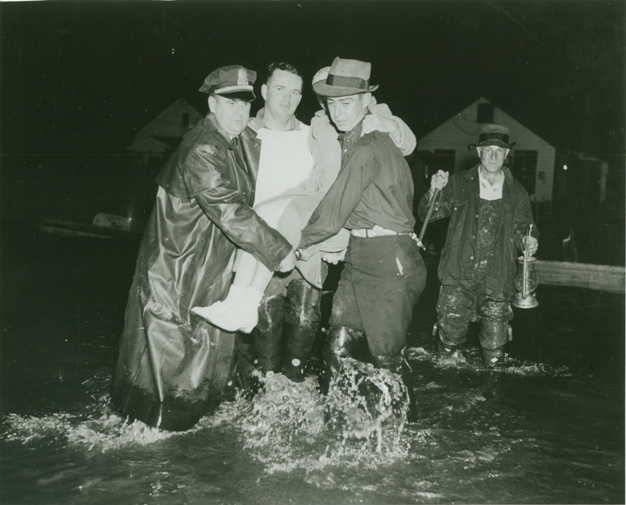 Eighty-mile-an-hour winds lashed the coast and the torrential downpour caused rivers and streams to overflow. At 8:15 pm electric power went out and with it the fire alarm system, police radio, and the teletype system. 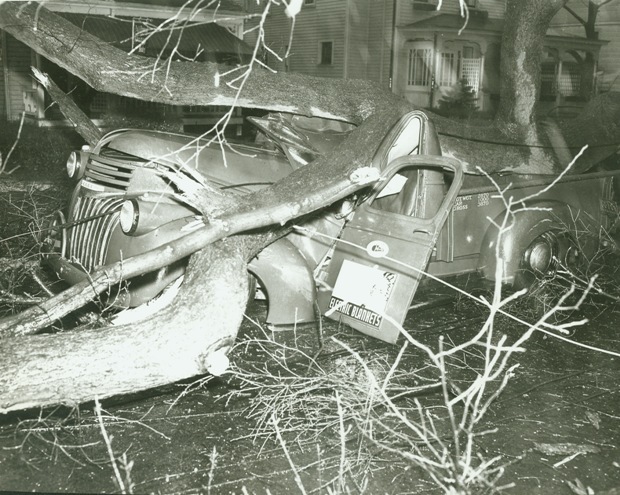 The downed communications seriously handicapped the police and firefighters; two on-duty desk sergeants were swamped with telephone calls from all parts of town. Health problems arose as sewer lines and cesspools backed up. It was 10:25 pm and high tide was still to come. Loss of electricity put the town into a state of emergency, and the 6-6-6 call to mobilize the National Guard went out. Within 30 minutes Battery F, 192nd Field Artillery was ready to help. Five days of intense rain, the approach of the autumnal equinox, and a full moon combined to increase the destructive force of the hurricane. In Greenwich, as elsewhere in the state, the deadly hurricane took its toll. Today it is remembered not only as the worst natural disaster to befall the town but also as the most devastating hurricane in New England history.